It’s been two months since New York City agreed to postpone a vote on legislation that would have capped the number of for hire vehicles in the city, a policy that would have been particularly damaging for small and emerging startups in the rideshare industry. The City instead has initiated a pair of studies: one a broad look at the taxi and for hire vehicle (FHV) industry and the regulations that govern it, and the other an analysis of congestion and its causes. Both studies are set to be completed by the end of this year. To the City’s credit, it has made an effort to engage with startups and the larger tech community as it plans and conducts these studies. Engine has already participated in one meeting in which startups and advocates were given the opportunity to ask questions and weigh in on the studies. However, it’s still unclear what impact this dialogue will ultimately have on the findings of the studies, and - more importantly - on whatever policy decisions are made based on those findings. With that in mind, Engine has shared the following recommendations with the Mayor’s office. The possibility of creating a brand new regulatory scheme for yellow and green taxis, livery and black cars, that is different from either of the current structures. The possibility of bringing yellow and green taxi regulations closer in line with the current black and livery regulatory scheme. The possibility of creating a new set of regulations that encourages and supports ridesharing or other public benefits being enabled by new technologies. The importance of creating a regulatory scheme that allows for emerging startups to innovate within the FHV industry, and which is not overly burdensome or cost prohibitive for new market entrants. The number of deliveries being made within the central business district and the behavior of those vehicles. The number of privately owned vehicles entering the central business district and changes in their behavior. Changes in bicycle and pedestrian traffic. Changes to the streetscape such as bike lanes, pedestrian plazas, or traffic calming devices. Street and other infrastructure conditions. Changes in scope, location and duration of street, bridge and tunnel closures resulting from construction, events, disabled vehicles, and other factors. Inefficiencies in current signaling systems and grid layout, including placement of one way streets. When evaluating different factors, consider not just how much they contribute to congestion, but also what public benefits they provide. Some factors (ex. an increase in the availability of FHVs to underserved communities, improved access to bike lanes or pedestrian plazas) may have a negative impact on traffic but also have a clear public benefit. Other factors (ex. inefficiencies in signaling systems) have no public benefit. It will likely be preferable to reduce the factors that have no public benefit before reducing factors that have a clear public benefit. When considering driver pay, benefits, flexibility and quality of life, don’t just evaluate new technology driven FHV operators. Make sure to look at these factors for traditional drivers as well. Explore opportunities for the City to better use data to support a more flexible, 21st century regulatory scheme that can adapt to changing conditions in real time. Engage with transportation startups as well as leaders in the civic tech community to look for ways to make better use of the data that both companies and city agencies collect. Continue to invest in and prioritize making New York a more connected city. Broadband infrastructure doesn’t just help families and businesses connect to the Internet, it opens up endless possibilities to transform the streetscape into a smart-grid that can collect and adapt to real time conditions. Provide ample opportunity for innovators in the FHV and rideshare space to design and propose solutions to any negative impacts. Reasonable market and innovation based solutions should be viewed as preferable to government regulation wherever possible. If new regulations are considered, make sure they leave the door open for the next wave of innovators. Be careful not to inadvertently stifle new startups that could very well solve the problems currently under debate. Consider all solutions on the merits, even those that prove financially or politically challenging. Regulating FHVs may seem less expensive than making serious infrastructure investments, or more politically expedient than tolling East River crossings, but it may not prove nearly as effective at addressing the true causes of congestion. We’ll continue to engage with the Mayor’s office and other stakeholders in the weeks ahead. And as always, we’ll be working to ensure that startups have a real seat at the table. Engine is pleased that New York City has agreed to postpone a proposed cap on the number of for-hire vehicles in the five boroughs. As we said after the proposal was introduced, it had the potential to be especially problematic for some of the newest and smallest transportation startups in New York, and particularly for the next wave of innovators that haven't even launched yet. We commend the Council and the Mayor's office for once again being responsive to concerns raised by the startup community. And we look forward to supporting a dialogue with startups and other stakeholders to find creative 21st century solutions to the problems of traffic and congestion. Periodically, Engine will invite policy experts to weigh in on specific topics with guest blog posts. 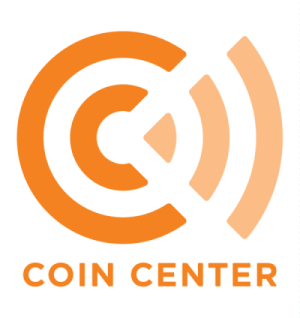 Today’s expert is Peter Van Valkenburgh, Director of Research at Coin Center. As Bitcoin's leading advocacy group, it is Coin Center's mission to ensure that any regulatory reaction to digital currencies is based on a sound understanding of the technology. As the bitcoin ecosystem grows, we are keeping a pulse on the policy environment it faces as it disrupts age-old financial regulatory systems. One new regulatory system with major implications is New York’s recently approved BitLicense, which will go into effect August 8. If you have even the most broad interactions with bitcoin, we suggest you read the summary below - with one month to go until unlicensed businesses will be prosecuted, we want to make sure startups understand the potential impacts of the new law. No one really knows what “administrating, issuing, or controlling” means in the context of bitcoin or other cryptocurrencies; if you think you might be doing these things maybe you should ask. The definition of a virtual currency business in this section of the regulation is tricky. It makes some sense in the world of centralized digital currencies, where the centralized company or entity creating the currency can decide when to issue new units of currency and how to control or administer their allocation. The section doesn’t make any sense in the world of decentralized currency like Bitcoin. Bitcoin has no definite “issuer,” “administrator,” or “controller.” People mine new bitcoins (“issuing?”), yes. Others write software that miners run (“administering?”). Others run nodes that help the P2P network communicate (“controlling?!”). Are any of these activities covered? Probably not: Benjamin Lawsky, the outgoing Superintendent of the DFS, repeatedly said that miners and software designers will not need a license. Trouble is, the law is the text of the regulation, not the speeches given by its author. That text is vague, so, again, the best advice is to ask a lawyer and get clarification from DFS regarding your particular facts and circumstances. Maybe we need an abbreviation for that answer. Let’s call it A(sk) L(awyer); S(eek) C(larification). AL;SC. Awesome new tools, like multi-sig, may not be excluded from licensing. Cryptocurrencies can do pretty neat tricks, like dividing control over some amount of currency between two or more people. People in a bitcoin multi-sig transaction, for example, can effectively vote to decide where the money moves. It all happens with cryptographic keys that are linked to cryptocurrency addresses. So, if you run a business that only holds one key to some amount of bitcoin, and your customers hold the other keys, do you need a license? What if you could never even spend those bitcoins on your own, or lose them, or get hacked and have them stolen? Your business certainly isn’t like the traditional banks or money transmitters we talked about above—the technology limits your losses and makes you less risky!—but do you still “maintain custody or control,” as per the regulation? We’d like to think that the answer is no, because these tools are amazing innovations that provide security and limit consumer risk rather than create it. The safe answer: AL;SC. Last month the New York City Taxi and Limousine Commission issued proposed rules for for-hire-vehicle and ridesharing services, many of which raised concerns for the startup community. Particularly troubling was a broadly written rule that could have required all software updates to be pre-approved by the TLC. Also of concern was a rule prohibiting the use of more than one electronic device outside whatever was provided by a dispatcher. This rule could have been especially damaging for new market entrants trying to compete with larger incumbents. Software and user interface review have been taken out of the rules. Instead, rideshare companies must notify the TLC of any changes to the ways in which they comply with passenger or driver facing requirements. The number of handheld devices has been expanded. While we still question the purported safety value of placing a limit on electronic devices, the fact that most drivers will now be able to access rideshare apps on two separate devices is a noted improvement to the previous draft. Violations will not impact all bases operated by a single company. Violations by a single driver affiliated with one company base will no longer have the potential to shut down a rideshare company’s entire operation. Companies that operate bases will not have to pay a separate $1,000 technology fee. Companies without bases of their own that want to partner with existing bases will still have the opportunity to do so by through the new technology license. To their credit, the TLC demonstrated a real willingness to come to the table with rideshare companies, and worked towards smart regulations that protect both riders and innovation. As the sharing economy continues to expand into even more facets of American life, we hope to see similar commitment to open collaboration from other regulatory agencies in New York City and beyond.